Shweta did her undergraduate degree at NTU studying BSc Biomedical Science and is now studying with us on the MRes Cancer Biology postgraduate degree. After starting my degree, I made up my mind to progress to a Masters. I chose to do a Masters in NTU because of the course structure as well as the 25% alumni discount and scholarship opportunities. Because I wanted to have more practical experience in the lab, the course gave me what I wanted with only three taught modules for the entire year. I did my undergraduate industrial placement year with NTU's Placental Research Lab and continued with them for my postgraduate degree, and I thoroughly enjoyed my time there. I learnt a number of different techniques which includes cellular and molecular techniques like PCRs, DNA/RNA extraction, cell culture etc. I would highly recommend prospective students take a year out in industry or hospitals to gain experience. What are your next career plans? I am looking for jobs in pharmaceutical or contract research organisations - I have a few interviews lined up for the next few weeks. Shweta came to Nottingham Trent University from India and found out about the course via the University website and from her local counselling agent. Although she wasn't able to visit the University for an open day, she did go through the online Virtual Open Day which gave her a good idea about the campus and environment. "The BSc in Biomedical Science is an amazingly structured course with loads of relevant practical knowledge coupled with in-depth theory to go with it." 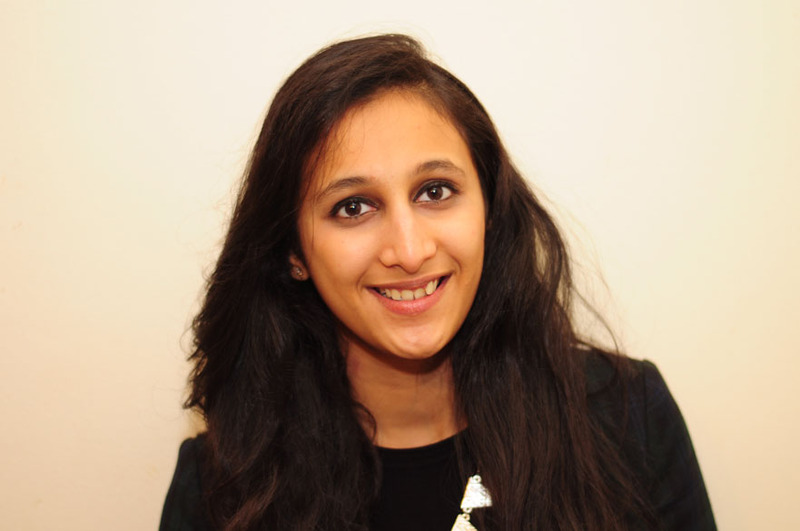 Shweta particularly liked the variety of modules taught in the course – the core biomedical modules such as Haematology, Infectious disease, Histopathology and Immunology were especially important for her career as a biomedical scientist. "The laboratory experience relates well to the theory you are taught in the lectures and the equipment we use – such as the confocal microscope which played an important part of my final year project – it has helped me enhance my microscopy skills. I believe these experiences will give me broader job prospects after graduation." Shweta did her work experience at the Placental Research Team at Nottingham Trent University. She was a trainee research assistant and worked in the lab for 13 months. It helped her learn new scientific techniques which couldn't be taught in a teaching environment. "My placement also helped me develop a professional attitude for work and academic related projects. Transferable skills such as communication and team working will definitely help me in my job prospects in any field, as well as the scientific skills which will play an important part for the scientific jobs. The academic faculty has always been helpful with even the slightest doubts regarding studies or placement via email, phone or on a one-to-one basis. The environment around campus is very positive and calm which makes difficult days of submissions or exams more comforting and soothing."